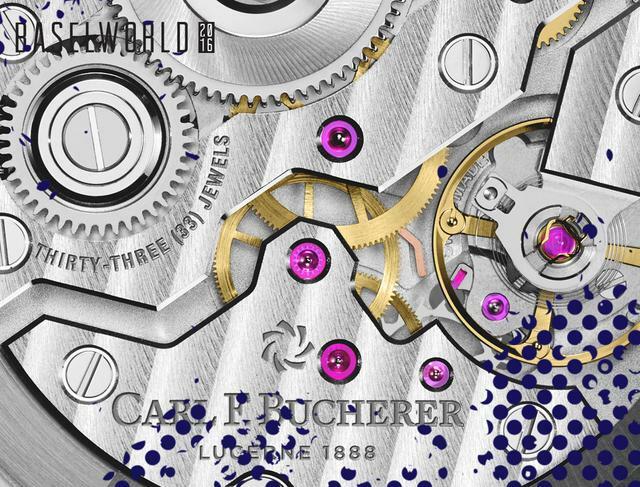 Basel was buzzing about Carl F. Bucherer’s brand new in-house movement, the CFB A2000, which was designed and produced at the watchmakers’ own development workshops in Lucerne. 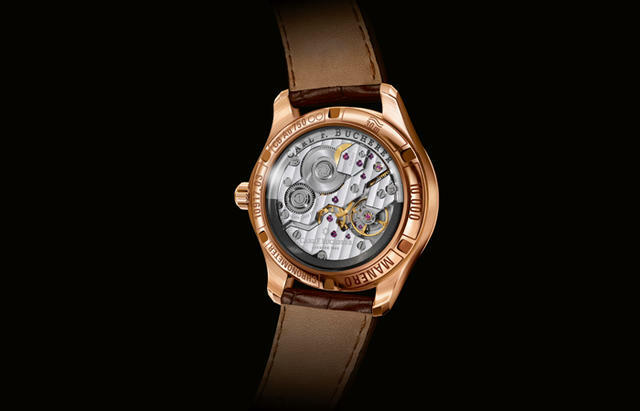 The movement features a double-sided self-winding mechanism and peripherally arranged rotor. And in order to maintain consistently high accuracy, the watchmakers focused on a free-breathing balance spiral that experiences no change in its effective length. The motion of the watch is calibrated using pivotablemasselottes, which are small weights that sit on the four balance arms and control the inertia of the balance. The movement oscillates at 4 Hz or 28,800 vibrations per hour. The new Manero Peripheral, shown here, is driven by the CFB A2050—based on the CFB A2000. This watch marks the launch of the the new movement family, which is destined to be incorporated into future models as well. The watch features hours, minutes, small seconds and date at 3o’clock. The 40mm case is in rose gold or stainless steel, with dials in deep matte black or porcelain white. The strap is crafted from alligator leather, and the stainless steel models are also available with a steel bracelet. In all, there are six versions of this watch, which seamlessly combines the attributes of the Manero design and the engineering expertise of Carl F. Bucherer. Stay tuned for more Basel Coverage all this week and the next. Want more? Check out iWMagazine.com’s dedicated Baselworld 2016 for debuts, exclusive video and more.